The Web Browser has become the first-class application platform because of HTML5 and web technologies. Sencha has been an excellent provider of open-source web application frameworks and tools to over 50% of 100 companies listed in Fortune and over 2 million developers around the world. It helps us to create development frameworks and tools that is used to design, develop, deploy desktop and mobile applications. Its goal is to improve the development experience and products by providing well-structured, Web standards-based frameworks and tools. 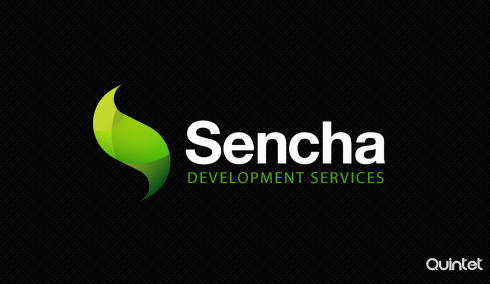 Our experts can create rich applications without depending on a proprietary platform using Sencha SDKs. The team produces polished and professional user experiences with customizable UI widgets, extensible component model, and easy-to-use API. We can create pixel perfect interfaces with Sencha SDKs so that clients will have the same great experience whether they are in IE6 or latest chrome. Sencha helps us create flexible client applications with robust architectured frameworks. Our designers, with Sencha Architect makes the visualization an unforgettable experience and our developers with Sencha Ext JS, Sencha GXT, Sencha Touch and Sencha Space give desktop and mobile applications all the advantages of the Web. Sencha Touch mobile development for iOS, Android, BlackBerry and other devices. Integrate device’s hardware features with native device APIs of Sencha Touch. Add-on PhoneGap along with Sencha Touch to build native apps. Sencha Architect is an ultimate HTML5 app builder. Sencha Architect 5 is the latest Sencha Architect. Our designers build apps and reach more people on more platforms of HTML5 with Sencha Architect 5. Building HTML5 apps for the web and mobile devices is made possible using this. We take HTML5 apps to the next level with this. The customizable themes, app templates, enhanced code editing, new UI improvements, user extension support and cmd integration in this helps us to produce the best results. Sencha Space enables us to deploy and manage secure business applications that run across multiple devices. We build secure, cross-platform mobile apps in low cost, deploy testing and production and manage users, data and applications. Our team has successfully delivered and assisted with hundreds of applications worldwide. Effects like, drag and drop, fade in, fade out etc. have improved the user interface of the websites. Script.aculo.us helps us to achieve these with ease. Quintet provides development services using Script.aculo.us to make your website more dynamic with visual effects. Codeigniter helps the developers with separation of logic and presentation, being a model-view-controller based system. Quintet helps you to implement best web applications as per your business needs by following standard coding rules and strict guidelines. Smarty is a simple, lightweight and easy to understand template engine with a caching system to increase the server performance. Our developers are really good at building smarty plugins and to extend smarty templating engine capabilities according to your custom requirement. Laravels makes development an enjoyable and creative experience for developers. Quintet interacts with its clients for using the best available technology that is well suited to their requirements. Laravel is one among the PHP frameworks that is used by us for development purposes. jQuery UI is a curated set of web user interface components developed above widely used jquery library and our team possess in-depth knowledge in jquery UI library. We do have experience in creating widgets using abstraction as in JQuery UI components. As a free and open source library, jPlayer has become a best choice for presenting audio or video in web pages. Quintet will help you integrate jPlayer multimedia plugin and custom jPlayer skins to go along with your website design perfectly well. Quintet offers you proactive server management services that combine with expert advice with essential server management tasks to keep your business online. We manage all aspects of your servers day-to-day operations. With us you are covered for installations, maintenance, OS updates, troubleshooting, monitoring and much more. 24/7/365 days of Support assured !